It’s a long-term goal of most people to own a home. In fact, homeownership rates have been on the rise since 2016, so looking to purchase a home is not an unheard of practice these days. But, things can quickly grind to a halt when you find out that your potential home’s inspection didn’t come back as stellar as you’d hoped. Not sure where to go from here? Don’t worry, we got you covered. Let’s take a look at your options when you find out a home inspection fails. A home inspection doesn’t mean that homeowners can mislead buyers about their property in hopes that the inspector won’t catch the issues. While it’s never good news to hear back from your potential home’s inspector that there are glaring issues. But, before you give up an head back to local listings, take a moment to hear the owner out. If there is still interest from both parties, then there’s a possibility for compromise. There are generally two options for the owner to take: fix the problems themselves, or offer the buyer a credit for repairs. This is the most common occurrence in negotiations that move forward after a poor inspection. 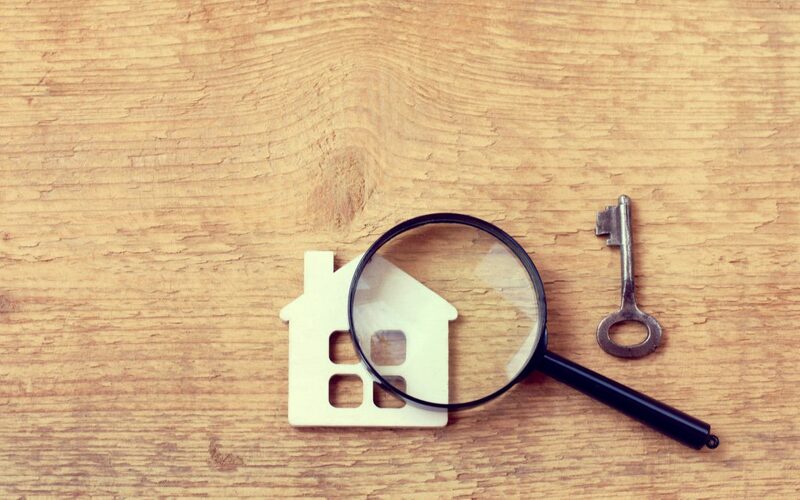 Rather than having to go through the process of finding another buyer, it’s often easier for owners to make the repairs on their own before closing. As you can assume, this saves buyers thousands of dollars, making it something t consider if you’re on the fence about pursuing the same home or not. Be careful, though, that you get in writing how much the repairs should cost, how much the seller will spend, and what kind of materials are used. It won’t mean much to repair a leaky roof or old pipes if you’re just going to encounter the same issues months later. This option is more or less just a delayed version of the first one. Rather than pay to make the repairs today, the owner may offer the buyer a “credit” for the future. This essentially means that in the event that the buyer has an issue with the points of concern from the inspection, the seller will pay for the repairs. If you choose to go this route, make sure to have a legal professional draft and oversee an agreement to prevent you from getting scammed. If you’d like to speed things up when it comes to the buying process, you could opt to pay for the repairs yourself. The obvious disadvantage here is that you’re likely going to end up spending thousands of dollars to fix any problems the house might have. But, waiting for the owner could take time, and not all owners will offer you a repair credit to use in the future. Plus, you run the risk of the seller moving on to find another buyer if you press them too hard about fixing the repairs. This will undo all of the negotiating you had already done. Thus, it’s not a bad option (especially if the necessary repairs are relatively minor) to just bite the bullet and take on the financial burden yourself. You do have a unique option at your disposal if an inspection reveals that there’s an issue with the home. Most real estate contracts allow the buyer to re-open the negotiating process if the home inspection is unsatisfactory. This means that you may be able to take the cost of the repairs off of the asking price, and perhaps take a little more. Buyer: The inspector notified me of issues with the home. They range from minor to moderate. He informed me they will roughly cost $10,000 to fix. Your original asking price was $500,000, but I’d like that amount reduced to $485,000 as a result of the added time this contingency has caused. While it may not always be this straightforward, the result is not uncommon since you have every right to suggest a decrease in price. But, make sure you keep it reasonable, or else you run the risk of losing the sale. If all else fails, you can simply cut your losses and move on to find another buyer. Just like how the seller has the right to find other buyers, you can look for property elsewhere. While it may seem discouraging to leave after investing so much in the pursuit of your dream home, it may not be worth the effort to deal with the problems that arise. With the above information in mind, you’ll be well on your way to knowing the course of action to take if a home inspection fails. Want to learn more information about home inspections? Make sure to check out the rest of our blog!